Mondo has revealed their Batman Vs. Superman Dawn of Justice posters, and they turned to the same man who did their Man of Steel poster for them: Legendary artist Ken Taylor. 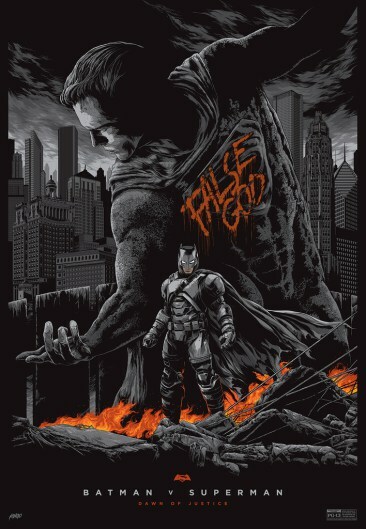 While I am not blown away by this poster the way I was Taylor's Man of Steel print which hangs in my living room as I type this, there is no doubt the variant at least will be a hot print. The fact that the variant features the mech suit that Batman fans never thought they would see in a film, will raise the scalping value of that print $30 to $40. 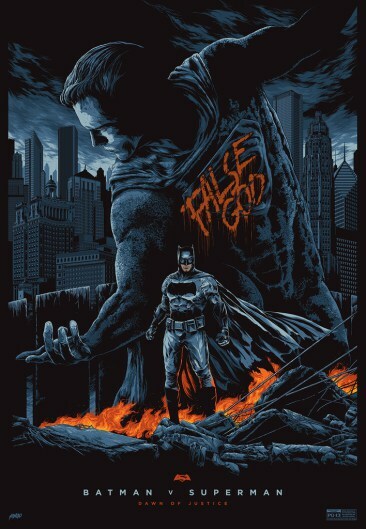 However The false God statue gives this print iconic DC gravitas that will have many of us heading to ebay, which is the only place you can find these since they sold out at mondotees.com in a matter of minutes. Let us know what you think of Mondo's latest heroic effort in the comments below!